Now that summer has begun it is time to play! If you haven ‘t spent any time in the Chrome Web Store I HIGHLY suggest you do. 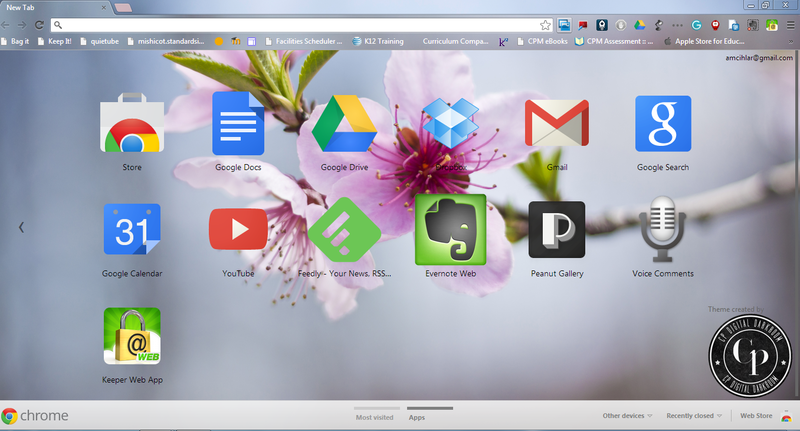 There are tons of free apps and extensions you can use in your Chrome browser that are fabulous. To get to the Chrome Web Store you can click on new tab in your Chrome browser and in the bottom right hand corner click on Web Store. You will have to make sure you are signed in to the Web Store (check the upper left hand corner for your email address). Extensions will appear next to your address bar. 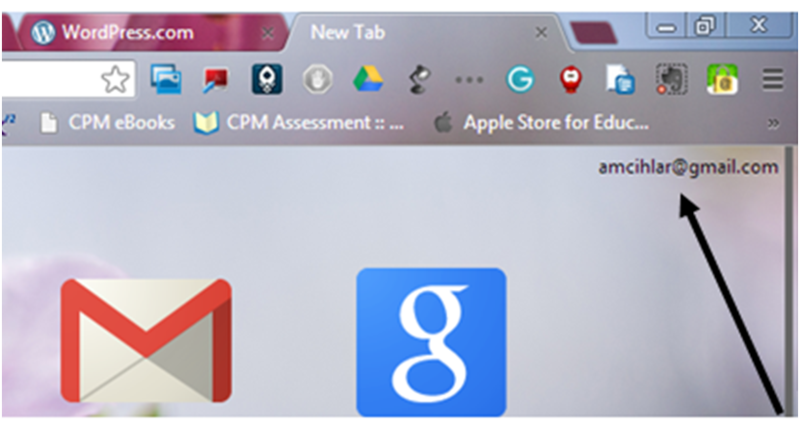 Apps will appear as icons when you click on a new tab. Those are a few of my favorite but I am just skimming the surface. There are a wide variety of items from typing games, to a biodigital human, Angry Birds, ad blockers, and the list continues. So now that it is summer take some time to play and see what you can find. I would love to hear what you come up with! Leave me a comment so our list of great apps and extensions continues to grow. The end of the year is upon us. As educators this is the time where we clean out our rooms and get ready for a bit of rest to recharge our batteries. As educators, we also know there is that myth of “3 months of vacation”. Before you know it we will be picking up our class lists and supplies and getting ready for the next school year to start. A tip for the end of the year housekeeping – saving your Internet Favorites. First, if you are not using Google Chrome as your browser I would suggest making it your browser of choice next school year. If you have Internet Favorites saved in Internet Explorer you can import these bookmarks into Chrome by following these directions. Click the Chrome menu . Select the program that contains the bookmarks you’d like to import. Now, that you have all of your bookmarks in Chrome, by signing into the Google Chrome browser this will save all of your favorite Internet sites. The best part, if you sign into Google Chrome at home it will sync all those booksmarks on your home computer as well. If you want to know more about why you should sign into Google Chrome you can read more here. Follow these steps to sign into Google Chrome. Sign in to your Google Account in the dialog that appears. In the “Confirm sync settings” dialog that appears, choose what you want to sync. Sync everything: Click the “OK, sync everything” button. (I choose to sync everything). Choose specific items to sync: Click “Advanced” and select “Choose what to sync” from the drop down menu. Select the checkboxes for the items you want to sync. You will know that you are signed into Chrome when your email address appears in the upper right hand corner when you open a new tab. You don’t need to worry about your email address staying there and security. This will not allow others to get into your email or other Google applications, your password would be needed. Stay tuned for some summer posts about how signing into Chrome gives you access to the Chrome Web Store and tons of free extensions, programs, and add-on’s to make your tech life a little easier. Have a great summer! Day 12 – Drive vs. Docs? For some of you it has happened already. For others it is coming soon. 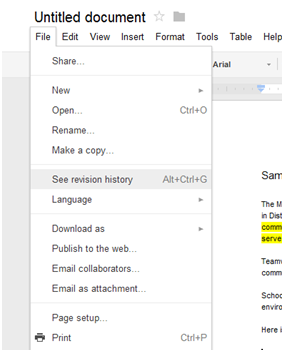 Your Google Documents will be changing over to Google Drive. So what’s the difference? Here is what Google tells us about Drive. Think of Google Drive as your personal stash of files and folders that follows you wherever you go – it lets you keep everything and share anything with 5 GB of storage. 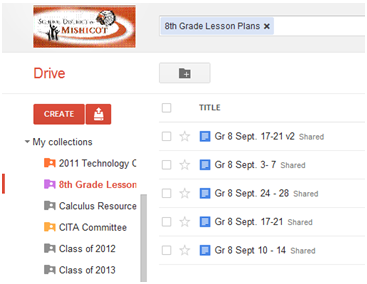 With Google Drive, you can access files, folders, and Google Docs from a web browser or any device where you’ve installed your Google Drive. Your Google Drive is in the cloud, but you can also install the desktop and mobile application to access your files from your computer, smartphone, tablet, or other Android or iOS mobile device, in addition to the online interface at drive.google.com. Google Drive’s built-in sync capability ensures that your files, folders, and Google Docs are the same on all your devices. More things have been added to the Settings menu, including upload settings. 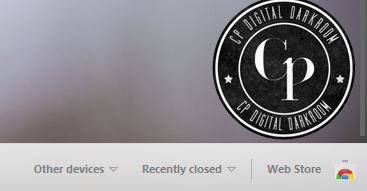 The left navigation has new views:The Home view is gone. Instead, use My Drive to organize all of your files, folders, and Google Docs. 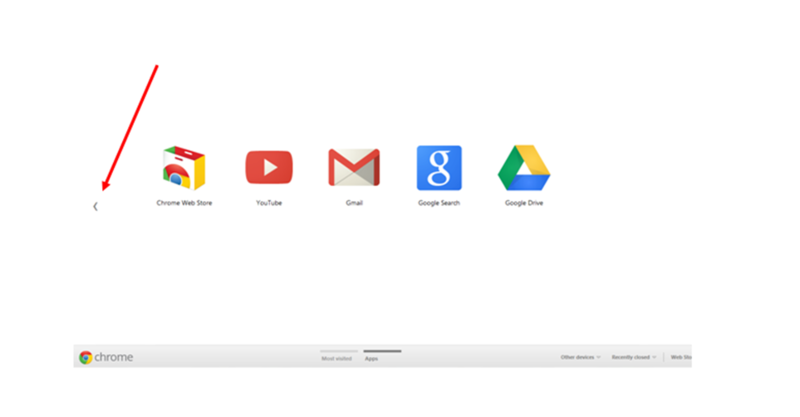 Sync files between all of your devices with Google Drive for your Mac or PC. View and search Google Drive on the web in a visual way with grid view. 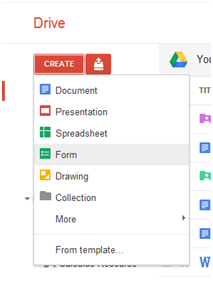 Add a file to a folder by clicking the folder icon within a file or Google document, spreadsheet, or presentation. Want to see an overview of this new change? Sit down, hold on tight, and get ready to Drive! Organizing your home? Don’t confuse this with your own personal space. I am talking about your Home area in Google Docs/Drive. One of the complaints that I have heard is that the Home area looks cluttered and people want to get rid of the documents that hang out there. Now there is an easy way to do just that. The document will disappear from your Home area. If you had the document saved in a collection, it will appear there. If your document was not in a collection you can always search for it by using the search bar. Because it is not in your Home area anymore, simply get rid of Home in the search bar before you search to search in all documents. Using the Don’t Show in Home option along with creating Collections for you documents will help to keep your Google Documents organized and easy to use! Google Forms are easy to use and share and can collect a variety of data. Think about a time that you have wanted information from a number of people. 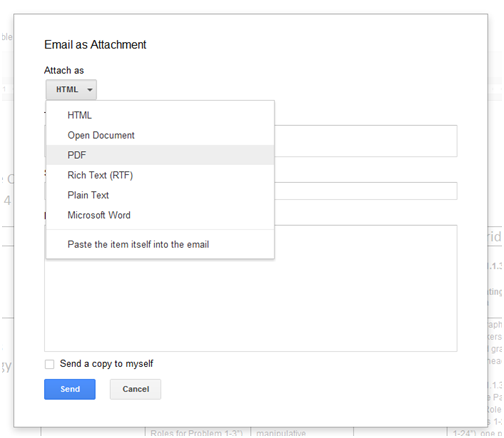 By creating a Google Form all of your information is organized in one place in a spreadsheet format. So, how do you do it? Click Create new > Form. Click Email this form once you’ve finished adding your questions. You can also send a URL to your friends if you prefer that. Add the email addresses (or select people from your address book) of the people to whom you want to send this form. Then, when you want to check out your collected information you can access the spreadsheet. If you need to make any changes to the form you can edit it by opening the spreadsheet then clicking on Form, then Edit Form. Want to know more bells and whistles about Google Forms? Check out this link! 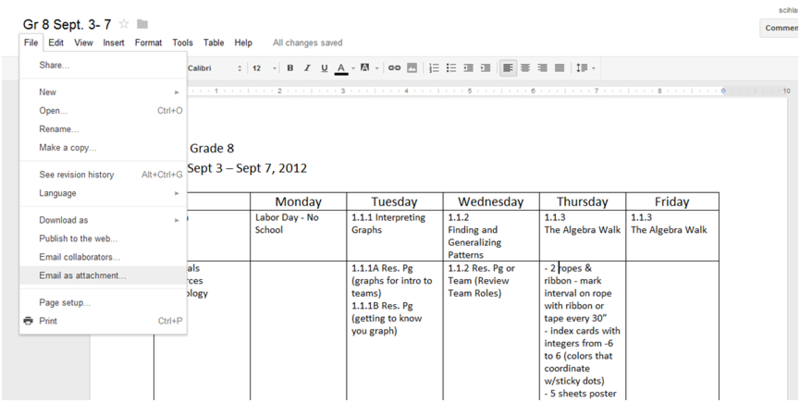 Want to see what a Google Form looks like? Then check out my sample form about my blog by clicking here. 2. From there a box will pop up. First select what type of file you should send. I typically use PDF because then anyone can open it up. 3. Then type in the names of the people you would like to send the document to and a message if you want. Revision History. 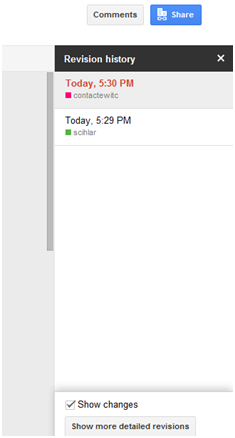 Hands down one of my favorite parts about using Google Document or Drive – that is for a later date 🙂 This allows you to see who has contributed what portions to the shared document and even revert back to an older version. So how do you do it? Then a new item will appear on the right hand side of the screen. From here you can see all the edits but the various contributors. Once you click on an older version you will see the option to restore back to the older version. That’s all there is to it! So whether you are using this feature to find an older version of a document or checking each person’s contribution to a project, revision history comes in pretty handy. Many of us have gmail accounts we use in our personal lives. Sometime you may be working in both of those accounts. If you have done this then you may have also experienced the frustration of trying to switch between these two accounts. The solution? Going incognito! By pressing Ctrl, Shift, and N at the same time you can open a new window and go incognito. This will allow you to log into multiple accounts with any of the headaches. Going incognito will make life between two gmail accounts that much better! Whether you are using Google Documents, Gmail or other Google applications, all Google items have one common theme. They all run best when using Google Chrome. This web browser was designed to be used with all Google applications and you will notice a significant difference when using these compared to another Internet browser. You will be directed to a page where you will find icons of your most visited websites. This provides an easy opportunity to your “favorites”. 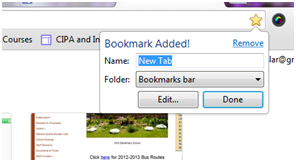 The other way to mark favorites in Chrome is through the Bookmarks Bar. When you are on a website you would like to include in your favorites click on the star in the address bar. You can rename the favorite site to anything you want. 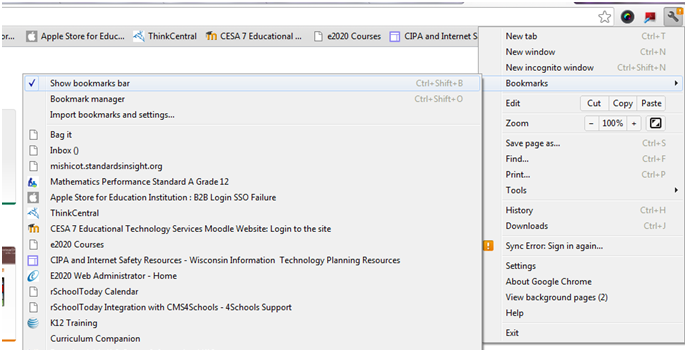 To get your Bookmark Bar to appear, simply click on the wrench and then select Bookmarks, then show Bookmark Bar. Sometimes you just need to have a little fun. Today’s topic is purely that. Did you know you can personalize your email by changing the theme of your email? Simply go to the gear on the right hand side, click on settings, and then click on settings across the top of the new screen. Choose your favorite color, a beach theme, or even a ninja!